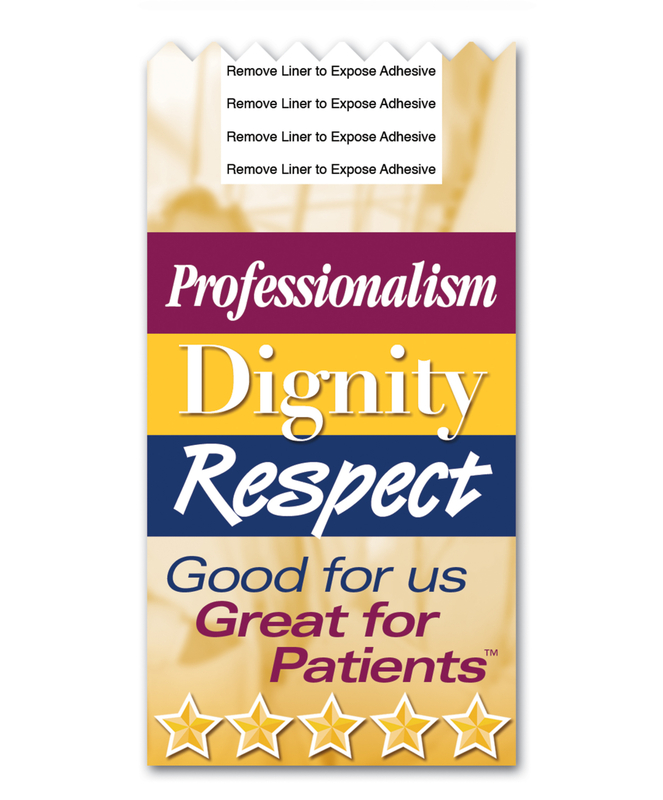 Full color ribbon with adhesive tab to adhere to the back of staff name badges. 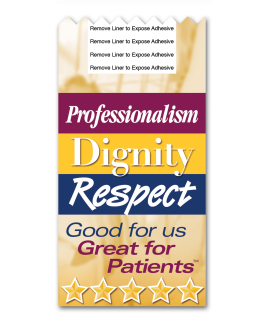 Our "Professionalism, Dignity, Respect" theme remind your staff of their behavioral responsibilities, but also tells your patients one of your key organizational values. “Respect” is an important 360-degree attitude. We can easily add your logo to our Badgie™ Ribbon. There is a one-time $75.00 set-up fee to add your logo. Minimum quantity is 500 Badgies™. 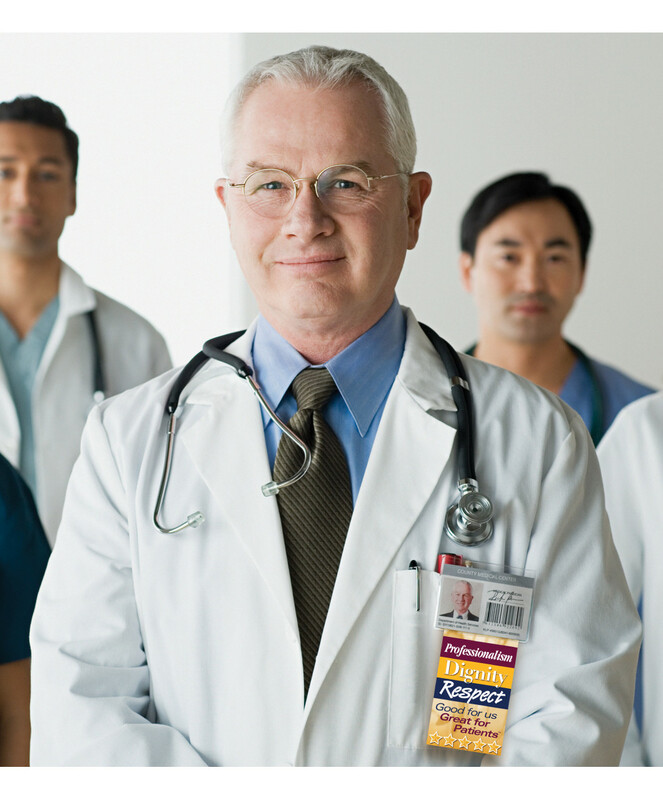 Please call one of our Customer Service Representatives at (877) 646-5877 for details and pricing.